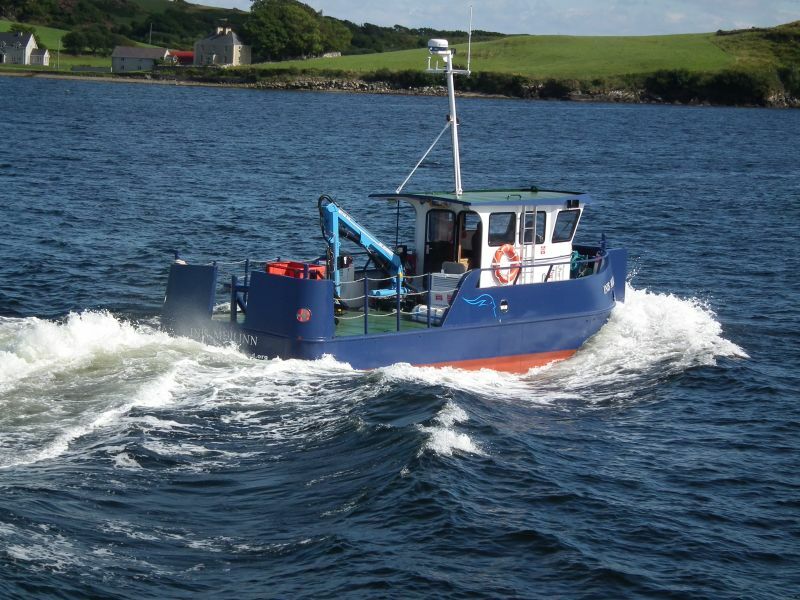 Waterways Ireland have recently taken delivery their second vessel from Mooney Boats Ltd of Killybegs. 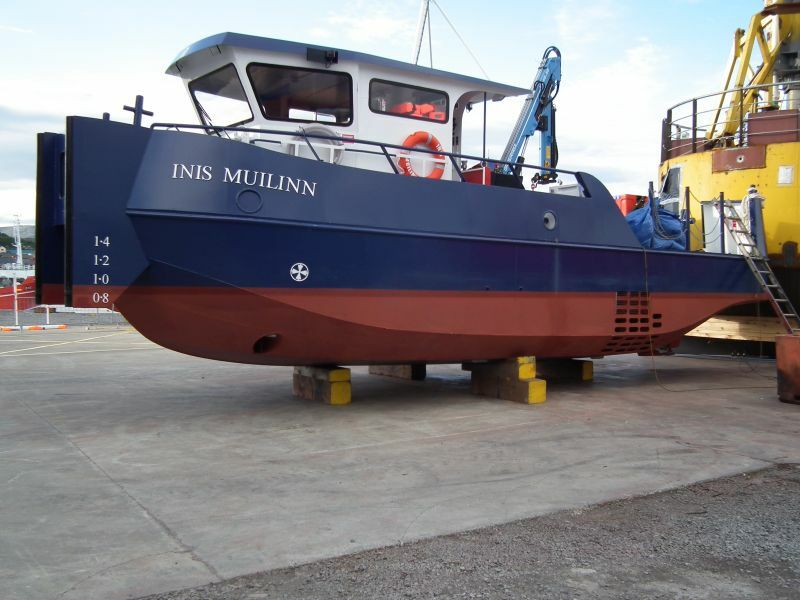 The new vessel is an 11.2m Steel tug/workboat specifically designed and built for the operating environment of the Shannon waterway system. 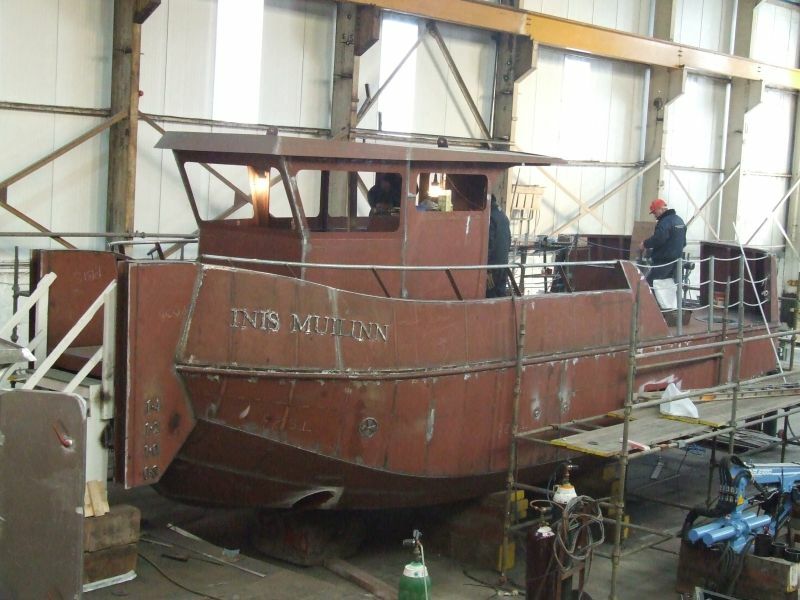 The vessel is a maneuverable and very capable tug designed by Marine Design International. 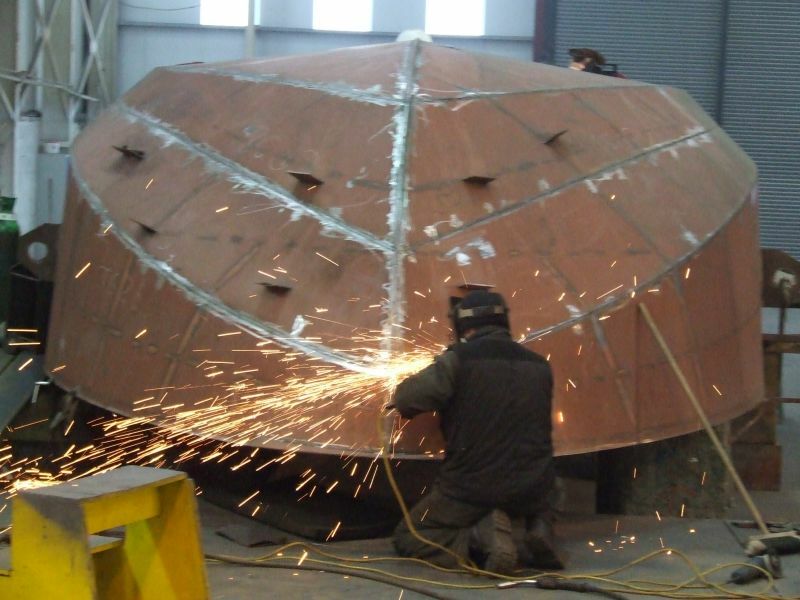 The design process involved significant input from the vessel operators and managers combined with the latest technology and ideas from the designers and builders to improve on efficiency and safety and exceed the vessel operating regulations. 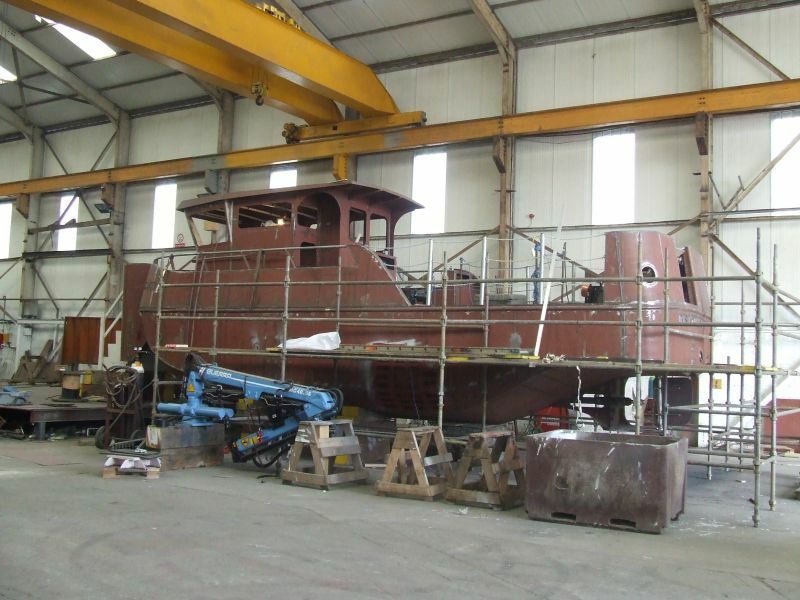 There are many small workboats available but for a truly suitable vessel the specific requirements of the operating environment must be considered. The vessel has a low draught of just 1.12m at her maximum load, which can be reduced to 0.95m if required to access certain stretches. The air draft is also limited to maximise access during the high water levels in winter when a lot of maintenance is carried out to the waterways infrastructure. Her loading arrangements allow an air draft of just 2.79m. 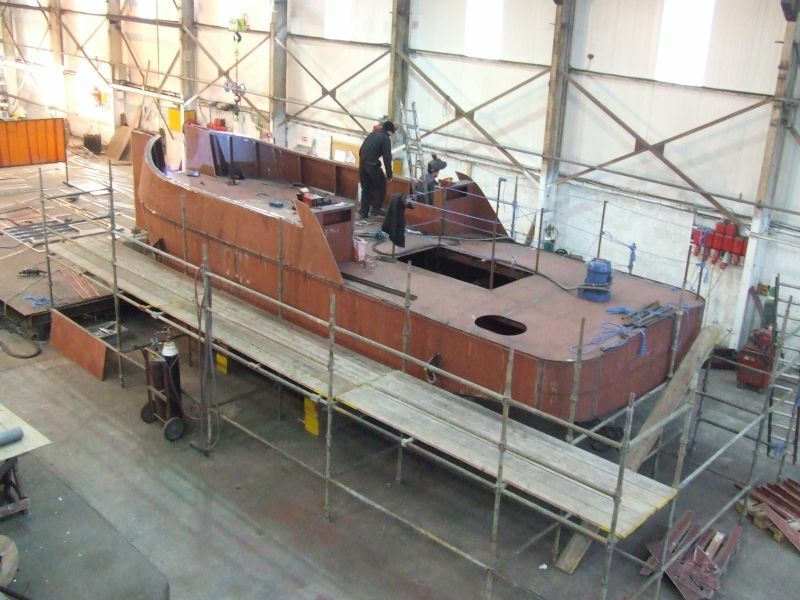 The hull shape has been developed to allow easy maneuvering in confined spaces as she will be used to push and pull other vessels and barges as well as carry out her own workboat duties. 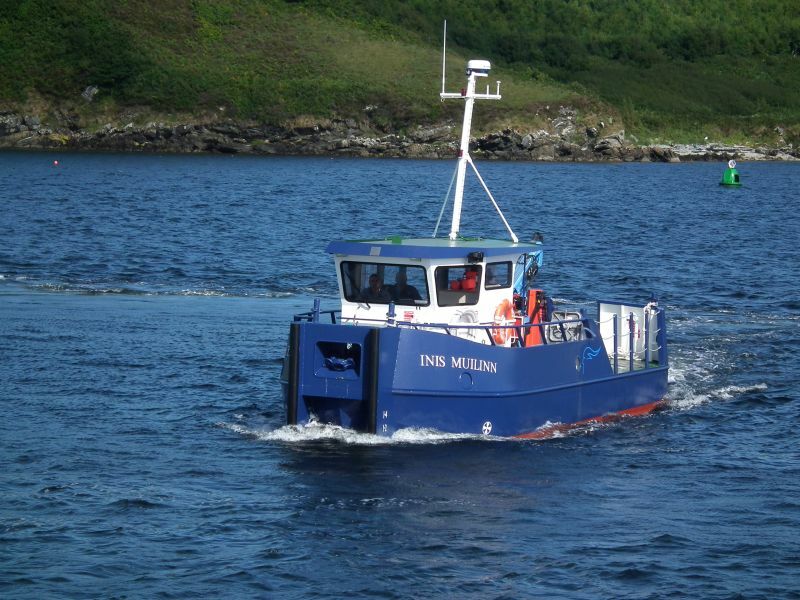 The vessel was surveyed under build by the Irish Marine Survey Office and she has a P4 passenger license. 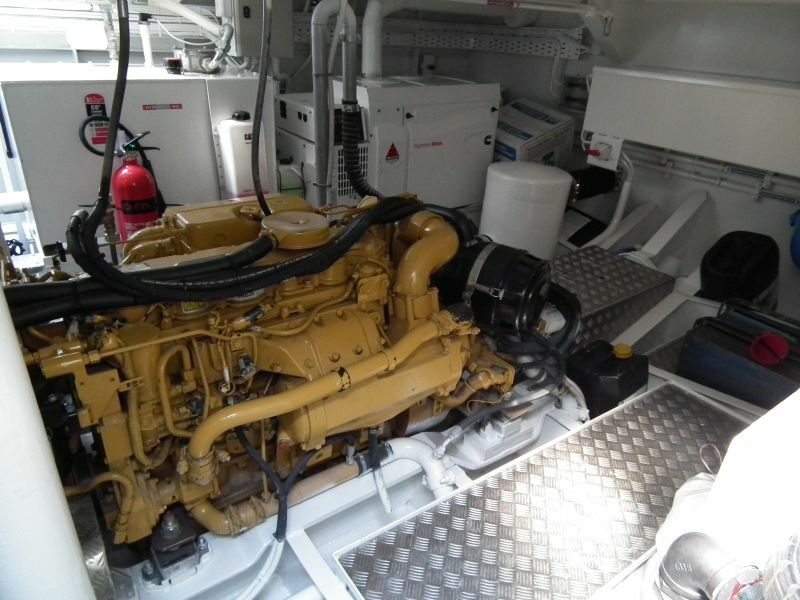 Main propulsion is from a Caterpillar C7 providing 234kW at 2400rpm and the Gearbox is a Twin Disc MGX5075 Quickshift marine transmission and the vessel produces a bollard pull of 2.5tonnes and operating speed of 8knots. 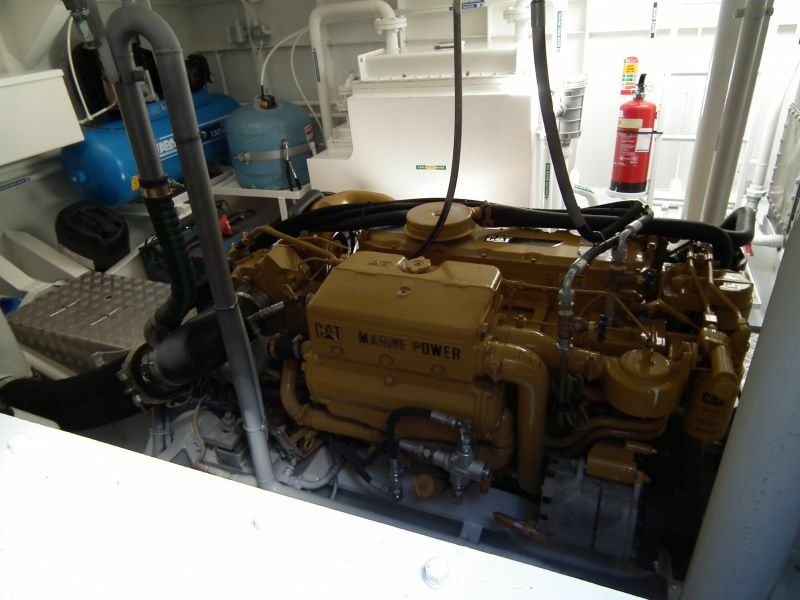 Also in the engine room is a Cummins Onan 13.5Kw Genset, an ABAC air compressor and engine driven variable displacement hydraulic pump which is used to drive all hydraulics on the vessel. 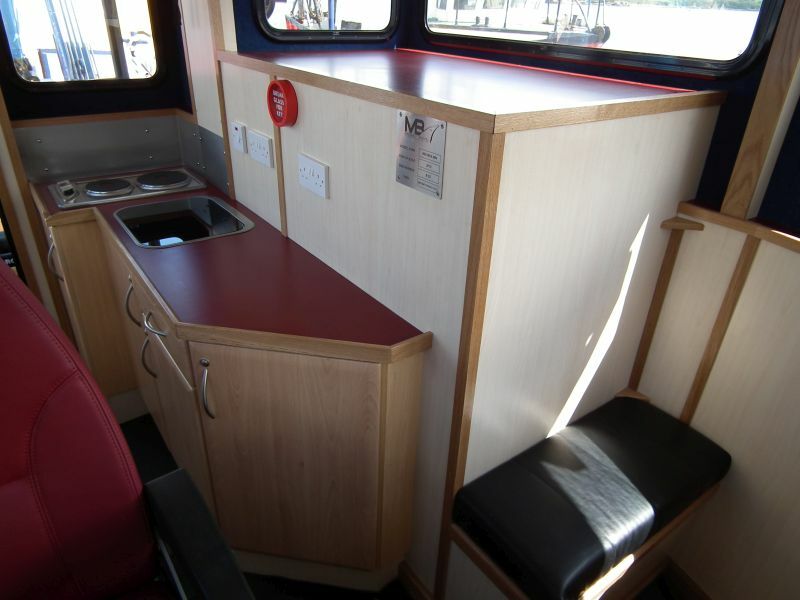 Deck equipment is all specified for the more heavy duty construction work support which the vessel will be undertaking. A centrally mounted Guerra MC40.55 A2 short post deck crane can access the entire aft deck lifting 500kg and a maximum reach of 6m. The crane is fitted with the Hook Marine Kranscan system to ensure the crane and vessel combination cannot be operated outside safe limits. 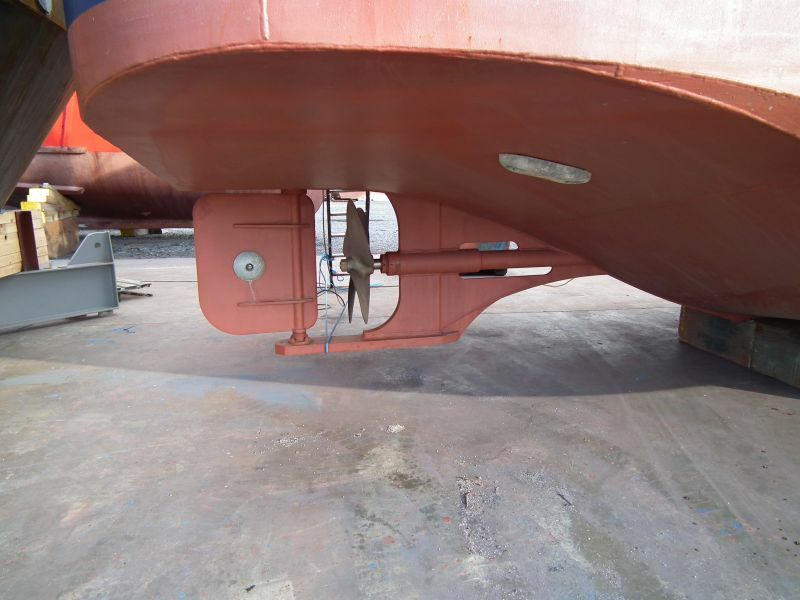 On the aft deck a 2 Ton Rotzler TITAN deck winch was installed which can be used for lifting over the open transom. 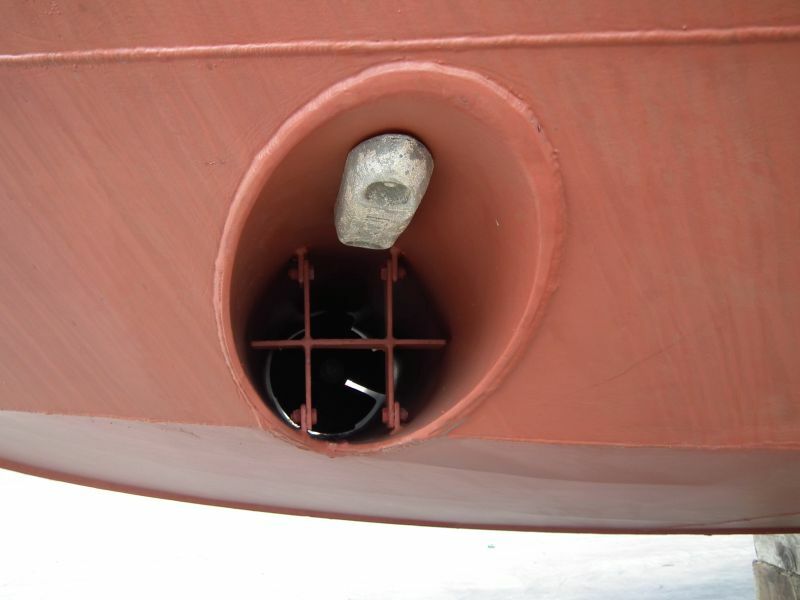 A cruciform was fitted on the extreme aft deck which allows towing her to be safely used for towing operations. The vessel was also fitted with a Seacatch 3.17 SWL quick release towing hook which can be operated from inside the wheelhouse. 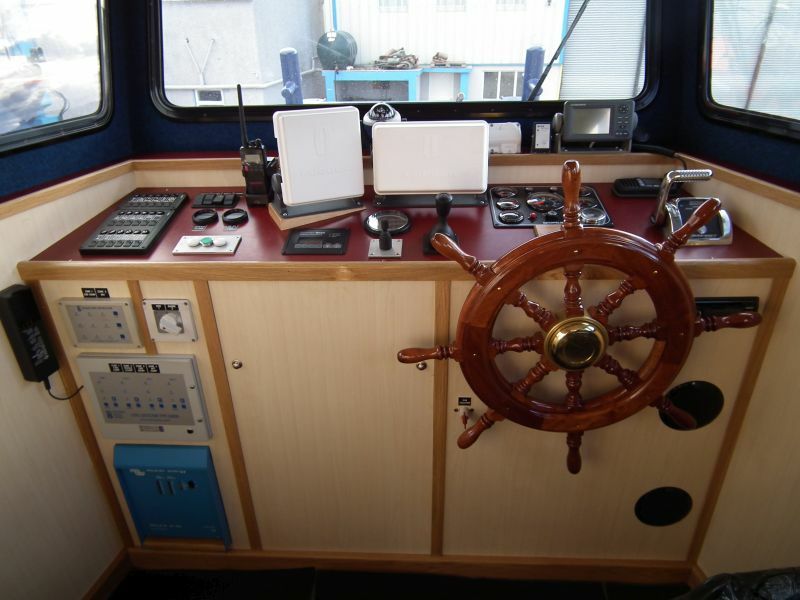 A 2 Ton Hydraulic anchor winch manufactured and supplied especially for this vessel by Seaquest System is mounted on the foredeck. 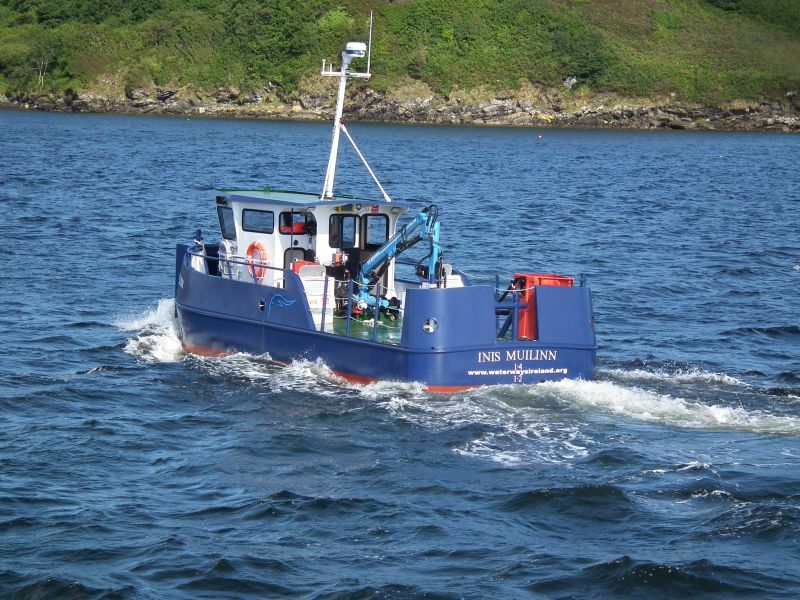 The vessel will often carry out operations in a strong current and the ability to effectively and accurately anchor is particularly important, the anchor stows in tidily in a pocket between the pusher bows. 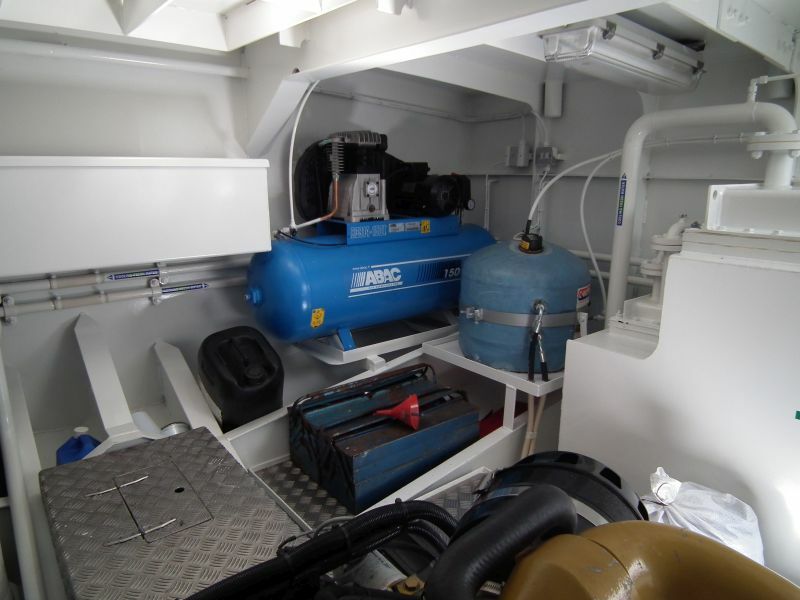 Other hydraulic items fitted on the vessel are a Side-Power 25Hp SP 220 Hydraulic Thruster, a Hercules Hydraulics Hydraulic power washer. 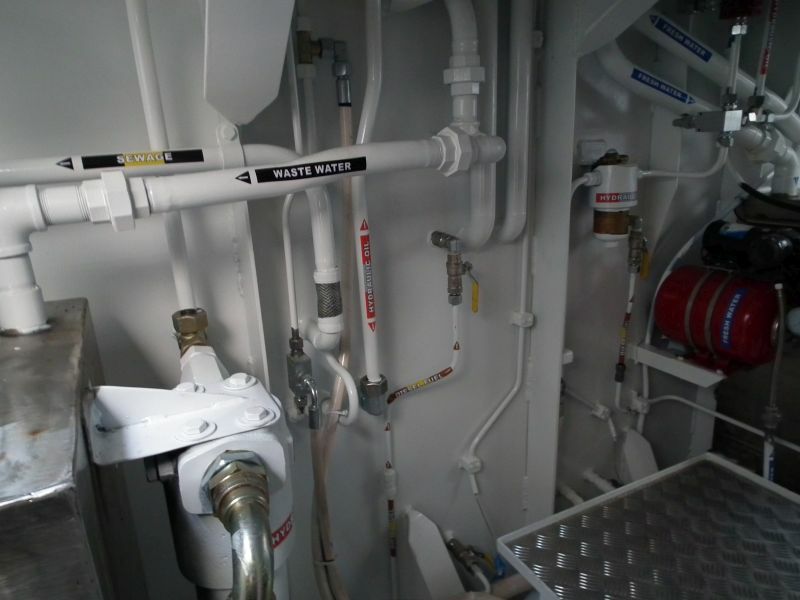 There is a deck accessed WC recessed into the deck to allow all the helm to see over the top and ensure good all round vision for close quarter operations. 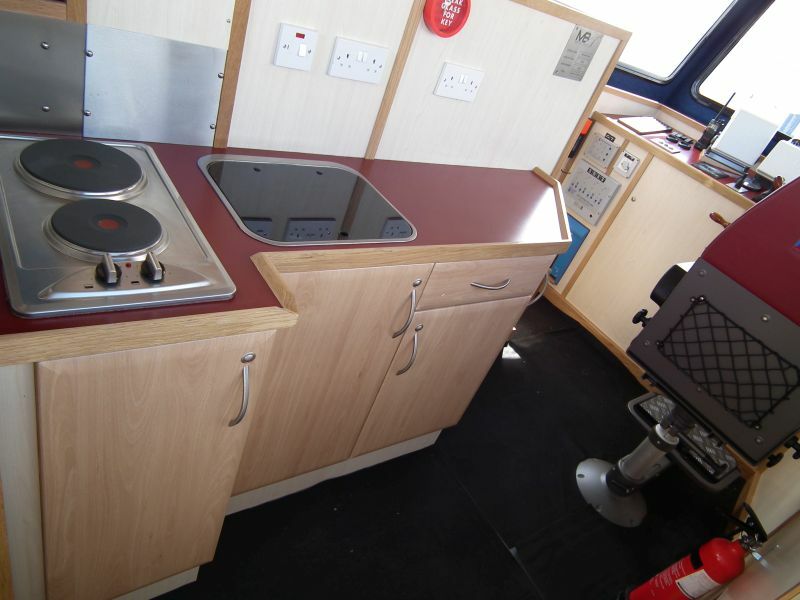 Within the main wheelhouse is a galley fitted out with a cooker, microwave cool box and a small services area. 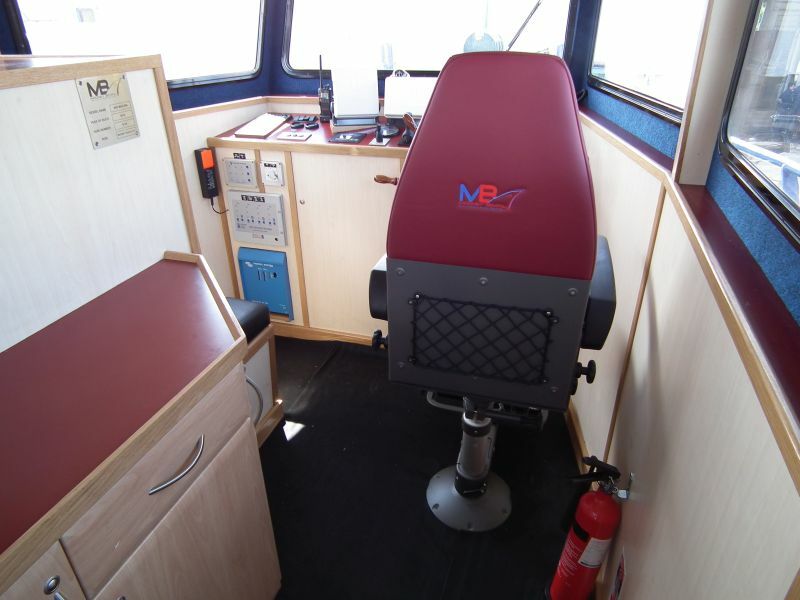 There is crew seating for 2 and the Skipper has his own Nor Sap 1000 skippers’ chair. For operating in the inland waterway system environmental considerations are particularly important and from the outset the design had a zero discharge specification. 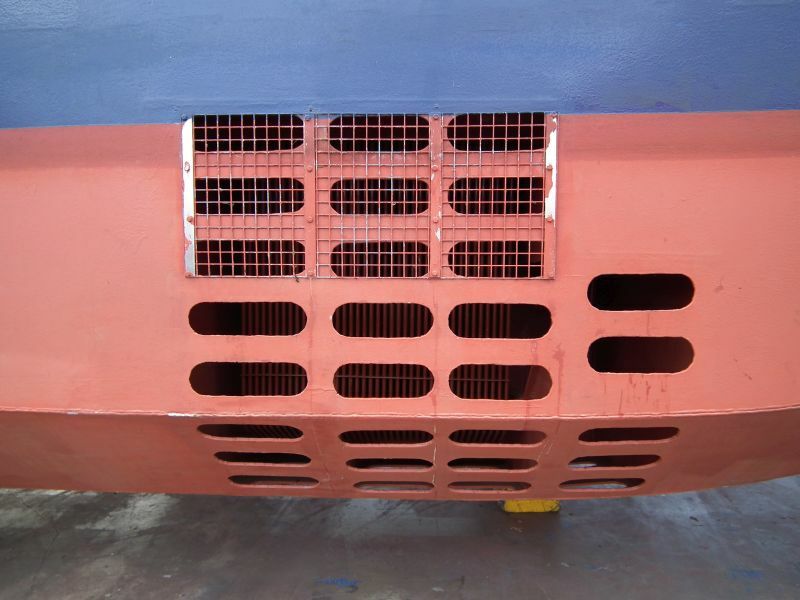 To this end Klima box coolers which were specifically designed for the vessel are mounted within a hull recesses to provide engine and genset cooling. All fillers have ample catchalls with drain valves and the WC and basins are lead to holding tanks for discharge ashore. All components were specified for use with biodegradable oil limiting the extent of any pollution should a serious accident or failure occur. 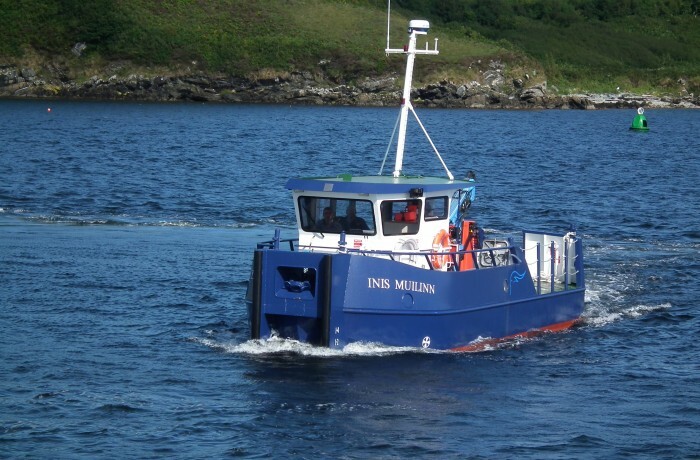 This Inis Muilinn will provide a high quality purpose built solution to the maintaining the Shannon system for many years to come. 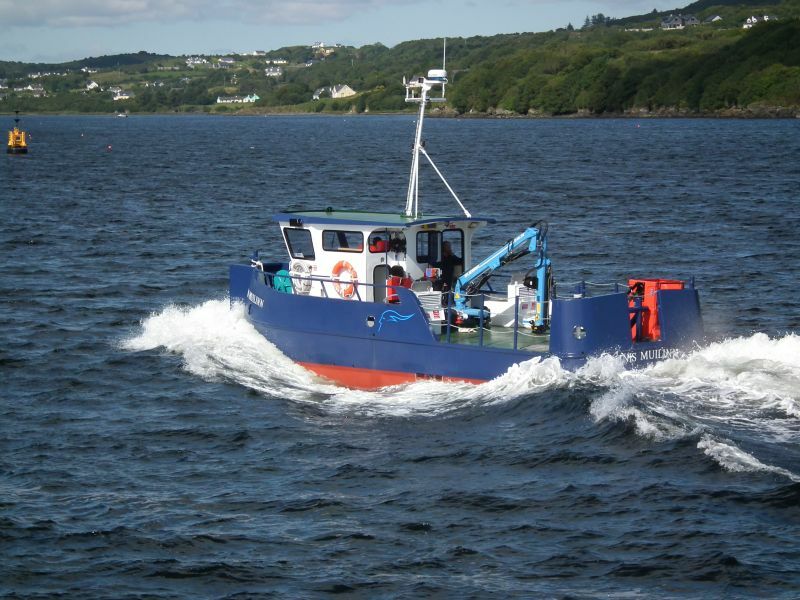 The vessel was delivered down the west coast of Ireland and up the River Shannon to Portumma Co Galway on Saturday 24th July 2010and is now in operation.